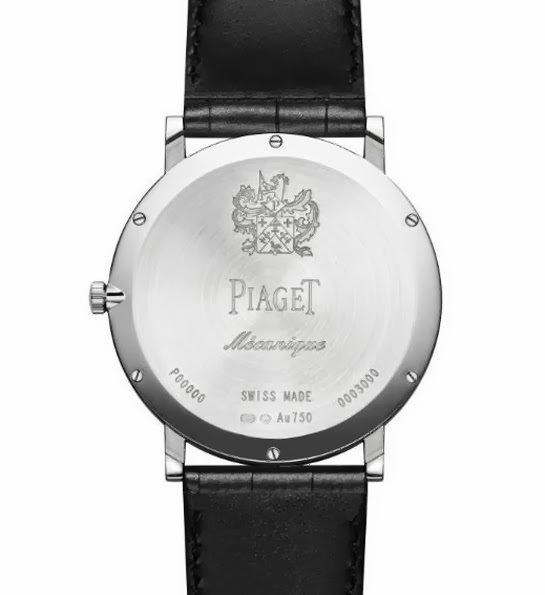 In 2014 Piaget will celebrate 140 years of history. To mark the occasion, Piaget has just announced the new Altiplano 38mm 900P (ref. G0A39111), presenting it as the world's thinnest mechanical watch with a thickness is just 3.65 mm. 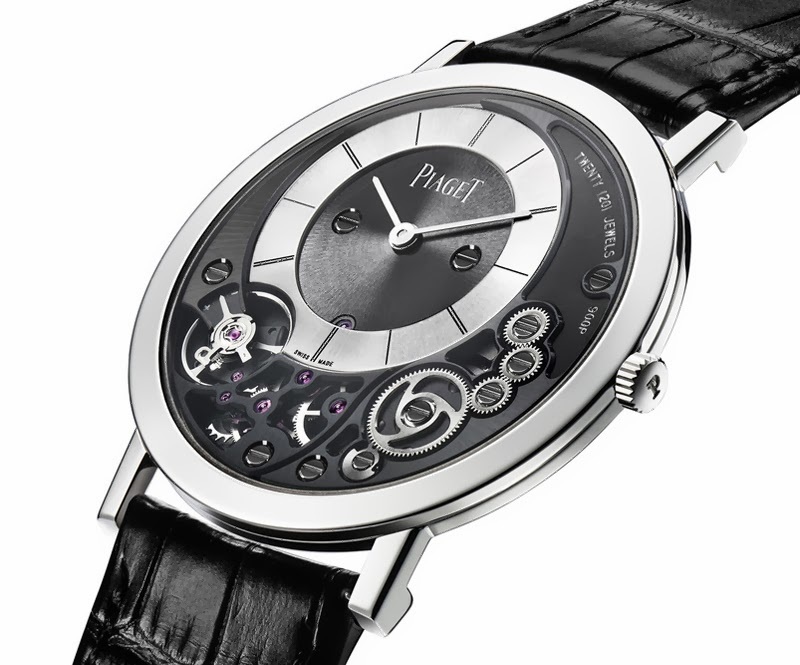 To achieve such record-breaking slenderness, Piaget had to merge the hand-wound calibre with the case elements into a single entity. The 900P part of its name takes its origin from Calibre 9P, which was the first ultra-thin hand-wound movement made by Piaget in 1957. For this ambitious project, the two Manufactures Piaget - one based in La Côte aux Fées, where the movements are traditionally made, and the other in Plan-les-Ouates, where the cases are crafted - had to closely interact. For a full three years, watchmakers, case constructors and designers worked together at each stage of development, production, adjustment and finishing in order to create a timepiece where each technical choice has an aesthetic impact, and vice versa. The secret of this extreme slenderness lies in the structure of the case itself, of which the back also serves as the mainplate. Thereby merging calibre and case, the latter was machined directly from the case-back in order to house the mechanical parts. This complex architecture meant reversing movement construction so as to fit the bridges on the dial side. To save another precious few millimetres, the entire mechanism and the hand-fitting system are contained within the thickness of the balance-wheel itself, thus entailing an off-centred display of the hours and minutes entirely in tune with the distinctive design of the Altiplano line. These characteristics are further enhanced by the entirely visible wheel train that invites the owner of the watch to plunge into the heart of this sophisticated mechanism. 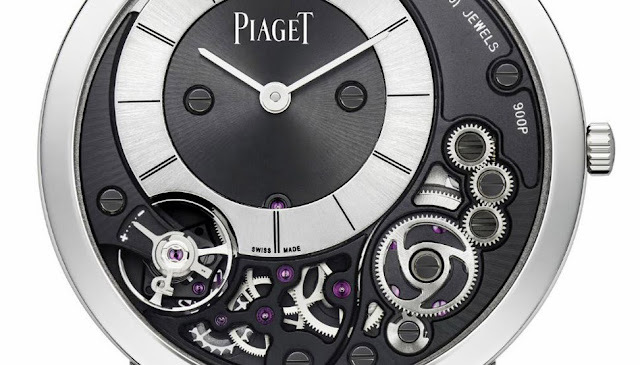 Working within this extremely confined space, Piaget has devised a suspended barrel hanging from a single bridge on the dial side, contrary to classic barrels that are also fixed to the mainplate side. It offers a remarkable power reserve of around 48 hours. To ensure reliability even when the watch could be subjected to strong pressure, such as when immersed in water, Piaget has patented a system which avoid that the slightly crystal could press the hands when deformed (even if hardly noticeable, any pressure deforms the crystal of our watches): in fact, the hands are not placed above the bridges but underneath, thereby freeing up space between the cannon-pinion and the crystal. When the latter is deformed by the effects of pressure, it presses not on the hands but instead on the wheel-train bridge, thus avoiding any consequences on the rate of the movement. The finishing of Altiplano 38 mm 900P meets the highest standard as in the Piaget tradition. The mainplate carved out of the watch case-back has been satin-brushed and sandblasted, while the wheels are alternately sunburst or circular satin-brushed. The bevelled and satin-brushed sunburst bridges are black-coated to create a nice contrasts with the white gold case. In 2014 Piaget will celebrate 140 years of history. 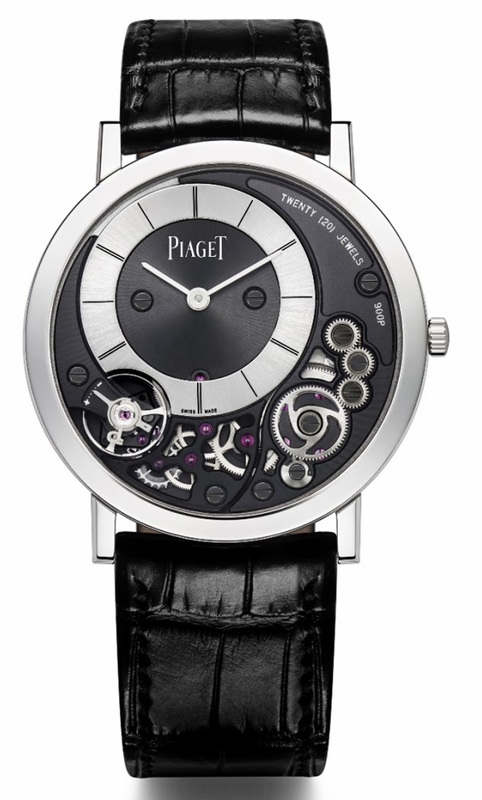 To mark the occasion, Piaget has just announced the new Altiplano 38mm 900P (ref. G0A39111), presenting it as the world's thinnest mechanical watch with a thickness is just 3.65 mm. To achieve such record-breaking slenderness, Piaget had to merge the hand-wound calibre with the case elements into a single entity.